The modern lifestyle of a common person has dramatically changed in the last two decades, especially after the advent of technology and disruptive innovation. This has led to increasing levels of stress and people feel fatigued and tired all the time. The everyday life has become so busy that it is hard to find time to take care of yourself, which further elevates the stress level. As a result, signs of aging start to appear due to restlessness and tiredness. Another important cause is the lack of mineral intake. A human body needs an average of 80 different minerals. The modern diet, however, does not contain the nutrients needed to maintain optimal health, because the soil in which they are grown does not have the necessary minerals. This eventually makes it hard for people to take their daily dose of minerals. It also aggravates the stress and the process of aging. But you can regain your health despite the busy and hectic schedule by using the supplement called shilajit. It is extracted from under the rocks in various mountain ranges around the world. According to a research, the blackish brown resin contains around 85 minerals and other compounds that are necessary for a good health of a human body. As discussed, a number of factors are associated with the day to day stress level. Different researchers are of the opinion that shilajit serves as an anti-stress agent due to its properties. It is a powerful adaptogen that enables the human body to adapt to stress. Day to day anxiety and stress disrupt the mental and physical equilibrium and damages the normal functioning of a body. Moreover, a stressful situation results in hormonal imbalance and causes cortisol and adrenaline. Stress in any form, i.e., acute or chronic stress, has harmful effects on a person as it also disturbs the sleeping pattern and causes emotional tension and agitation. Enhances Memory and Fight Alzheimer’s disease – However, if you take shilajit regularly, it lowers the stress level. This powerful resin serves as an energy booster and provides strength to brain and nerve cells. As a result, not only does it boost the immune system, but also control the stress level. Shilajit is used as a tonic to keep you mentally alert and to improve the academic and learning capability. It also helps in strengthening long-term as well as short-term memory. Past research has also identified that fulvic acid and anti-aggregation of tau protein in shilajit serves as a potential agent to protect against Alzheimer’s disease. Improves Sleeping Pattern – This supplement also improves the sleeping cycle by providing the necessary minerals to relax your muscles and regulating the flow of blood in your body. It effectively treats depression and provides relief from fatigue and mental stress. 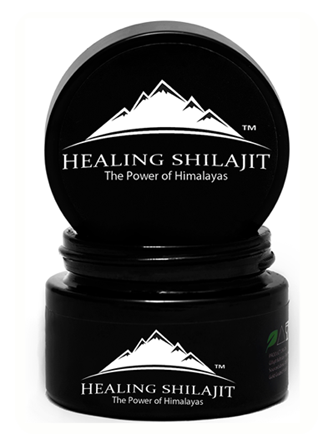 60 percent to 80 percent of the shilajit components are fulvic acid and humic acid. It also includes selenium that contains anti-aging properties. The humic substances and fulvic acid in shilajit have very high anti-inflammatory and anti-oxidant properties that slow down the aging process. Reduced cognitive ability is also associated with old age. By making this mountain food as a part of your daily diet, you can control cognitive disorders related to aging and enhance mental activities. The antioxidants in the supplement help in the production of red blood cells and make your muscles strong and healthy. They also heal any inflammation and skin damage, which leads to longevity and gives the skin a certain glow. In the mountainous ranges of Nepal and India, children take shilajit with milk in the breakfast. Moreover, Sherpas, a population of strong men with a long lifespan, consume it as a part of their daily diet.